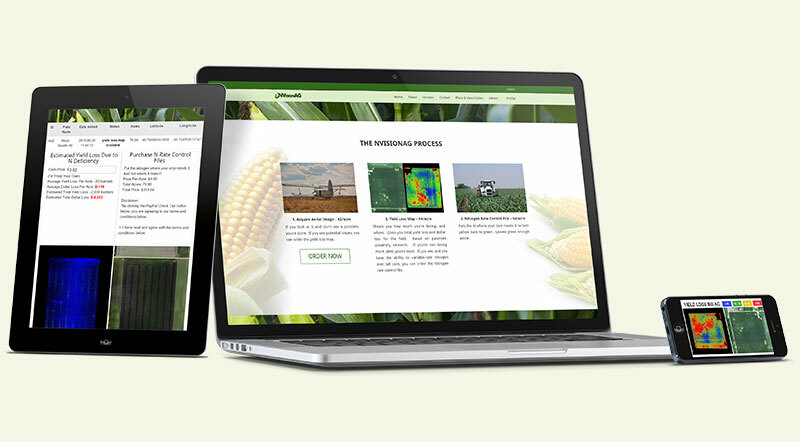 Challenge: To create a fully functional online business that uses aerial images to determine nitrogen loss in crops so that farmers can make better use of their resources when choosing to reapply fertilizer. Solution: For this project, we created everything from the ground up, working hand-in-hand with the client to ensure the solution met the needs of the system’s end users. Our proprietary software analyzes georeferenced images to identify the end user’s location specific nitrogen needs and produces yield loss estimates and imagery to aid in the decision making process. Our system also produces a file that can be uploaded directly to the farmers equipment so that the fertilization process can be performed automatically.